A Bathroom is the busiest space in the house. Planning its renovation can be both, exhilarating and nerve-wracking. One would really have to give it a serious second thought as it will also demand high investment, along with your time. But with proper planning, consultation, and efficient tools, one can pull off a successful remodel. Here is our expert compiled list of all the do’s and don’ts you would need to consider in the event of remodelling your bathroom. Magazines, newspapers, guides, and internet are full of stunning bathroom designs and styles. But those perfectly pictured bathrooms usually come with a hefty price tag. You need a plan before you go shopping for that stuff. Before you tear up the floor or put a rainforest shower, imagine the final look of the bathroom, with all the inspired stuff in place. You can browse the different inspirational blogs to find out the bathroom design ideas, that suits your need to the maximum extent. We have a collection of articles for bathroom remodel ideas. The value of budgeting is undeniable. It helps in reality-check and keeping your expenses under control. With a budget in hand, you could easily know how much you have and how much your ideal project would cost. This further helps you in choosing the most appropriate bathroom stuff for remodelling which does not exceed your pocket’s capacity. For more accurate estimations, you can consider taking the quotation from a variety of contractors and compare online prices for the stuff. The interior designing expert advice on purchasing the high-end stuff like tile flooring or shower design, to be as neutral as possible. The neutrality allows you to play with a more colourful mix & match for the stuff, within the bathroom. You can add your personality-specific, visually striking accessories like mirrors, hand towels, decorative items, etc. Storage may not be as admirable as other features of a bathroom, but it is a necessity and a functional part. You can’t miss it just because you think nobody will say flowery lines for it. You can be too imaginative over the storage by utilizing even the tiniest available space, like making storage behind the toilet. Having a praiseworthy bathroom is a dream of every homemaker. It must be designed to have an eye-catching appearance. You may install multiple shower heads or different types of shower heads, for the luxurious look. But do consult your budget before falling for some extravagant stuff. Even if you really want to go extravagant, think of combining your pricey items in a more useful bathroom furnishings, like walk-in-baths and showers which are specifically designed bathing area for disabled people. For checking out options in walk-baths and showers, click here. 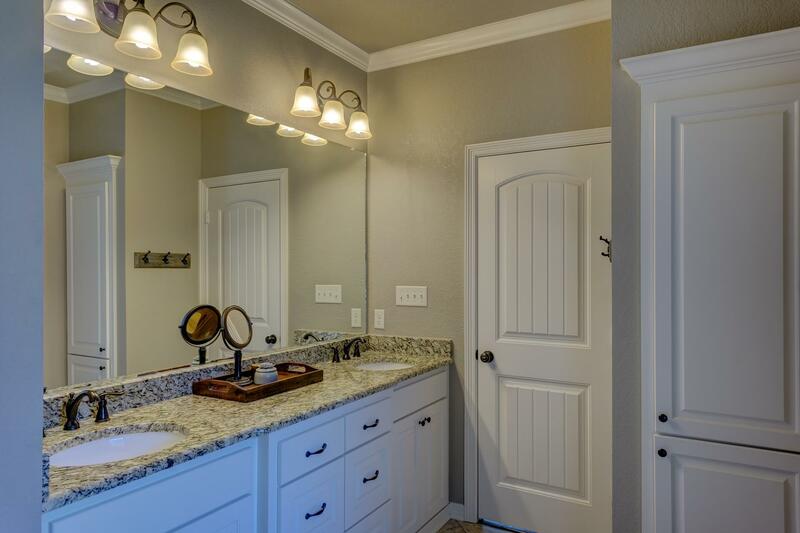 The bathroom vanity is used to make a style impression on others. There are many wow options being displayed with the vendors, that feature double sinks, large mirrors and plenty of storage. The vanities made of the material such as granite or marble can add more visual interest to the bathroom space. A bathroom remodelling is a test of your patience. Keep calm and understand, what is and what is not to be done. But decorating the bathroom with your imagination is something you can cherish for life. If you have ever been a part of bathroom remodelling, share your personal experience and tips in the comments below.